Wonder Wafers "Super Singles 50 Pak" Buy More and Save! 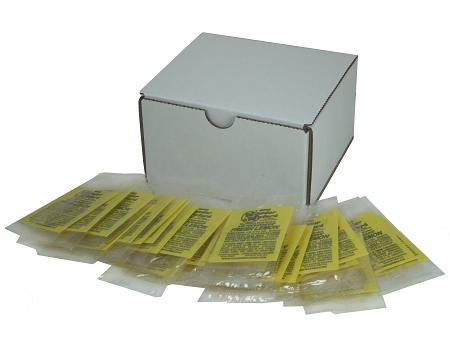 "FACTORY DIRECT FRESH" AND "SEALED"
Wonder Wafers “Super Singles 50 Pak” are individually wrapped and perfect for those that need more Wonder Wafers at a discount price. 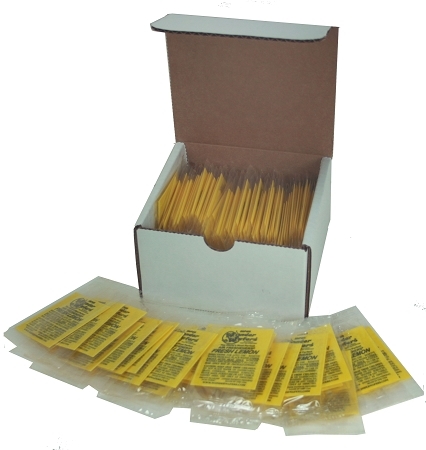 Each "Super Single" is Factory Direct Fresh and Sealed to keep that amazing aroma until you are ready to use them. I just wanted to let you know how impressed we are with Wonder Wafers. In talking with our customers - we learned that they really appreciate the more consistent fragrance. Please feel free to share my Testimonial with anyone thinking about using or selling air fresheners at their business! Hello. I recently bought a used Cadillac "2 years old" and thought it still smelled brand new as the day it rolled off the assembly line. Being that it has all leather interior I couldn't get over how clean and fresh the interior smelled. Turns out that after my wife was just thoroughly checking out the car she found the secret. 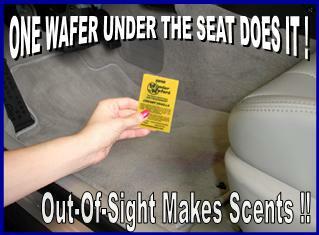 Little "NEW LEATHER" wafers were under the two front seats, 1 per seat. We use the oil scents in our house that you place 3-4 wafer strips in the top of a container and then place that into a box with a small fan. Not car friendly to say the least. The wafers you sell are absolutely the best on the market. They don't trash your car up or become a safety hazard by hanging, dangling, and swinging around from your rear view mirror and advertising to everyone there is a funk in the vehicle that I'm trying to mask over. They don't attach to a vent that can easily come off and become a choking hazard to a small child. If toddlers can get it in their mouth then they would love the fresheners that attach to a vent. A: Yellow color Wonder Wafers are either Fresh Lemon, or Creamy Vanilla. The Fragrance Name should be on the Wonder Wafer as well. Q: Is there a variety pack??? A: Thanks for your question. Yes, we are the only company that lets you "Build Your Own Variety Pack". You can select the fragrances and quantities you're interested in, and there is no minimum quantity required. Go to this link for our Build Your Own Variety Pack. product.